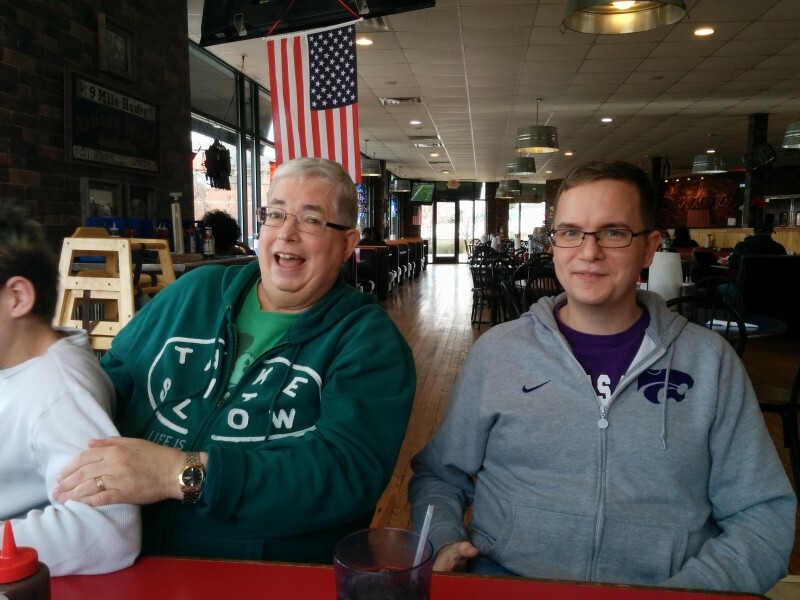 We went to Kansas City to see my parents and siblings. Henry and Herman were working a temp job to help out a friend and make some money. They worked at Strawberry Hill Povitica Co. They were helping in the shipping department getting all of the holiday orders out. We went to visit and buy a loaf or two of their bread. 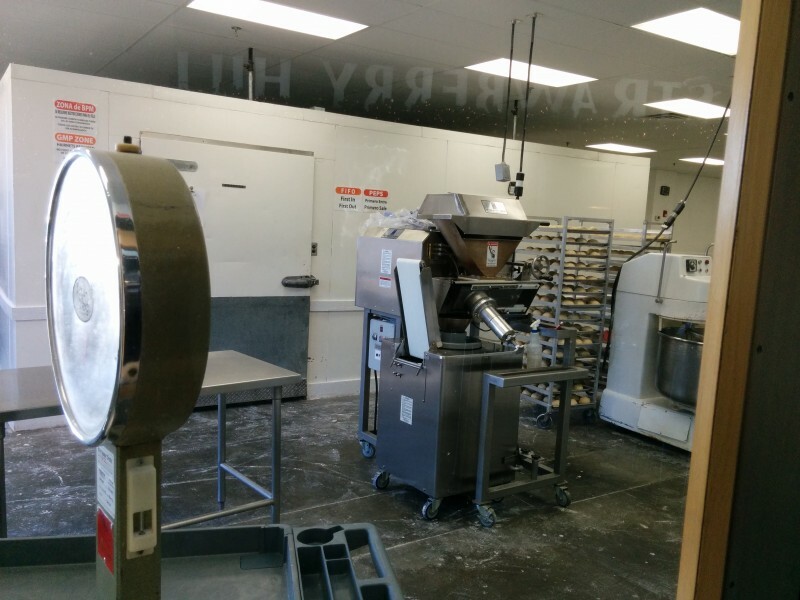 The store is also the factory, making the bread. 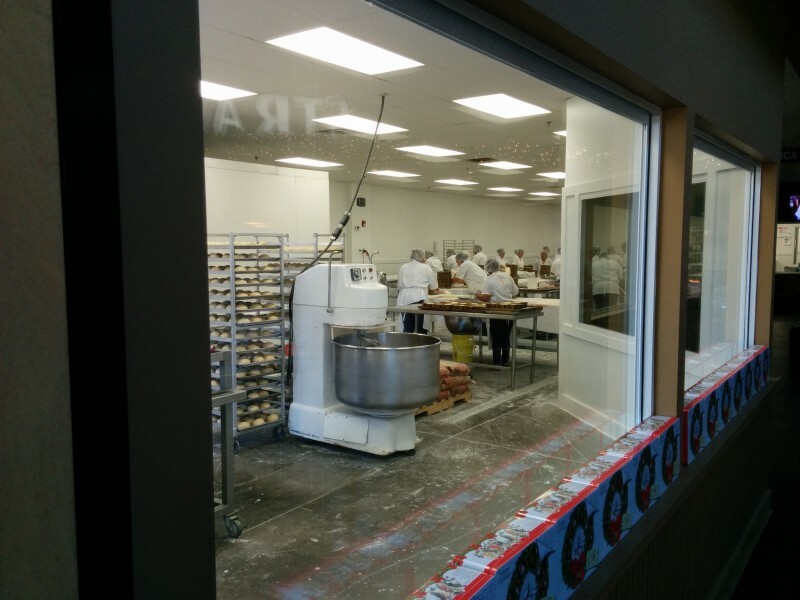 The whole area is surrounded by windows so we could watch the process of them making the bread. After lots of good bread and company we wended up going back to St. Louis at the end of the weekend. My dad followed us back to town with us and we met Hayden at my house. He got presents dropped off for his family and then we all went out to eat lunch before parting ways. Bandana’s BBQ is where we ended up. We got a large table and sat down for the meal. But not before I tried to take advantage of one of the greatest meal deals ever! 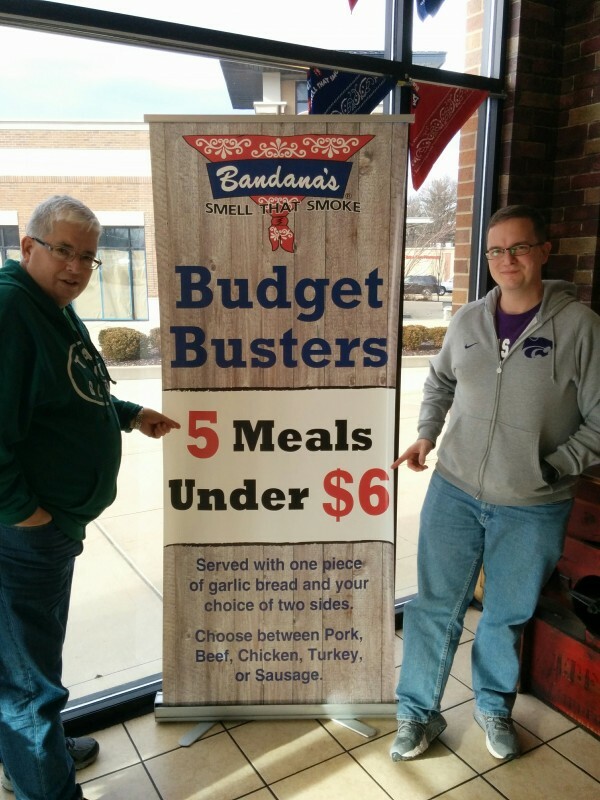 I tried to order all 5 meals for under $6, but the server said that it was only 1 meal for that price. She wasn’t hearing any of my argument or offering to have the signs changed. We all had a good laugh. This entry was posted in Family and tagged Dan Haake, Hayden Haake. Bookmark the permalink.